The GearNuts Crew is made up of musicians who are as passionate about music and audio gear as you are. We've all shopped the websites and stores and experienced every extreme of customer service, cost, and communication imaginable. So we asked ourselves how we'd want an online music dealer to operate. The answers were pretty obvious - we want the best gear at the best price, and we want it FAST! And we know you do too. That's why at GearNuts you'll find the gear you're looking for without huge markups, shipped to you fast. 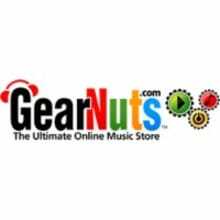 GearNuts.com offers a no-nonsense shipping policy: fast, FREE shipping on nearly every item we sell. Combined with our low-price guarantee, that means your purchase is an even greater value. We ship Monday through Friday (except holidays). Our same-day shipping cutoff time is the latest in the business. Verified orders for in-stock merchandise will almost always ship the same day you order. For most items we use FedEx Ground for shipment, but we also use other carriers, such as UPS and USPS. Need Your Gear Sooner? Expedited Shipping Is Available! Send us a message and we can let you know the rate! At GearNuts.com, we're not happy until you're totally happy. If you're not completely satisfied with your purchase for any reason, you can return it to us within 30 days. When you return a product, you can request that it be replaced with an identical item, exchange it for a different item, or request a store credit or a refund. If the product you received is defective, we'll pay the shipping, both for you to return it to us and to send you a replacement. If you're returning a product for any other reason, you must pay for shipping. If your original purchase was eligible for free shipping, the original shipping cost will be deducted from your credit or refund.